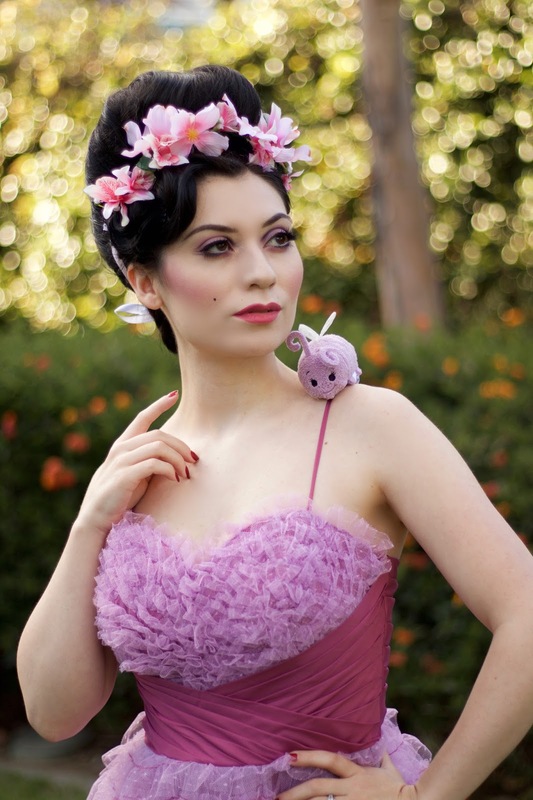 Dapper Day is upon us & I am so excited to get all dressed up in my vintage best. Dapper Day's Spring outing in the parks is my favorite out of the two events, because I love wearing all my 1950s & 1960s vintage prom dresses. 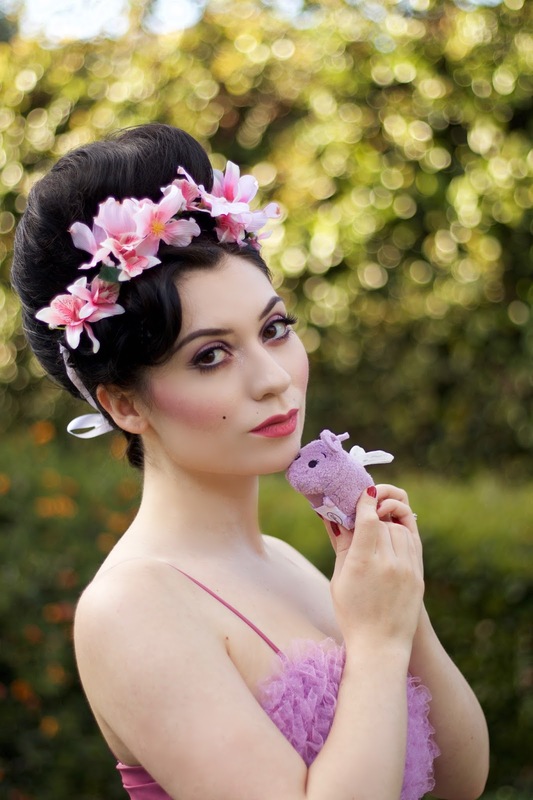 If you haven't heard of Dapper Day, it is an unofficial Disney event where you can dress up in your Vintage best & visit the Expo for workshops, shopping, & dancing. While at the Expo or inside the parks you will see some amazing Disney Inspired outfits & this style is called Disney-bounding & it has become quite the trend. Disney-bounding is all about being inspired by your favorite Disney character, & channeling them in your own clothes adding your own personal flair & style. If you are new to disney-bounding or any type of character bounding, you can simply match the characters signature colors, accessories, or even the patterns that they wear. This is my very first official Disney Bound & I am so excited to share my look which is inspired by "Princess/Queen Atta" from the Pixar Classic "A Bug's Life," I went with a 1960s inspired disney dapper bound because my personal style is vintage & with Dapper Day on the way I thought it would be cute to share. Princess Atta is a light purple ant with sparkly clear wings & towards the end of the movie she gets a gorgeous flower crown fit for a Queen. 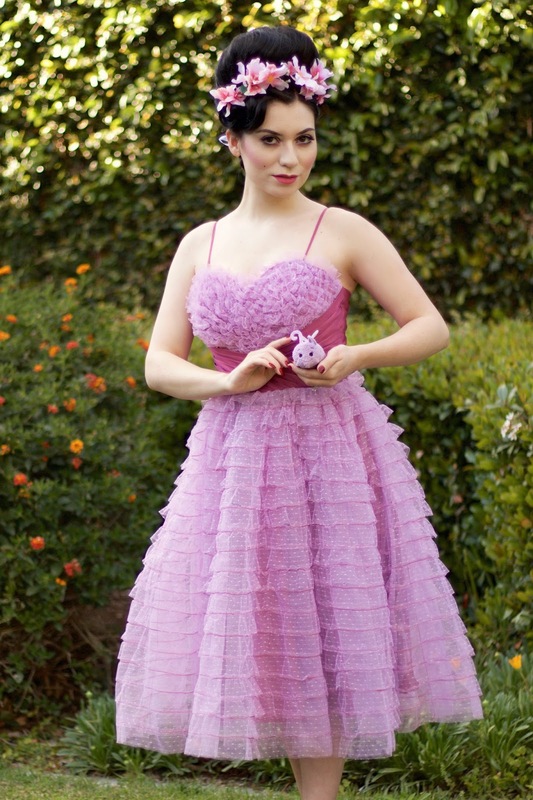 To resemble her gorgeous purple hue I am wearing my Lavender Ruffle Cupcake prom dress from Unique Vintage. I paired the dress with my true vintage silver lurex springolators to resemble her shimmery wings, & a bright pink floral crown to resemble her flower crown. Of course I had to bring along little Dot, she is my little sister after all. Once I attempted my first disney-bound I found myself thinking about a few more looks I could have achieved with this one dress, for example I could have done a Rapunzel bound or even Boo from Monsters Inc. A few of my favorite Disney-bounders have done looks inspired by their favorite Disney stores, restaurants, or rides isn't that so awesome?! 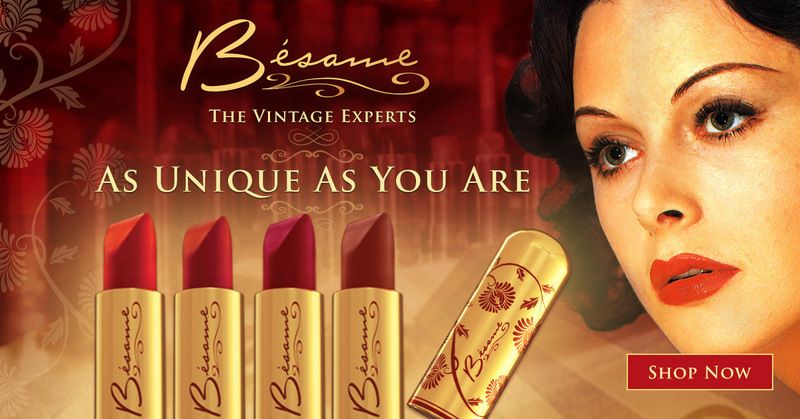 For my 1960s beauty Queen Atta look I used some of my favorite beauty products from Besame Cosmetics. I am wearing their Cashmere Foundation Stick in shade Bisque set with their Cashmere Powder Compact in shade Porcelain. For my brows I applied their Brown Cake Mascara dry, as you would use a brow powder. 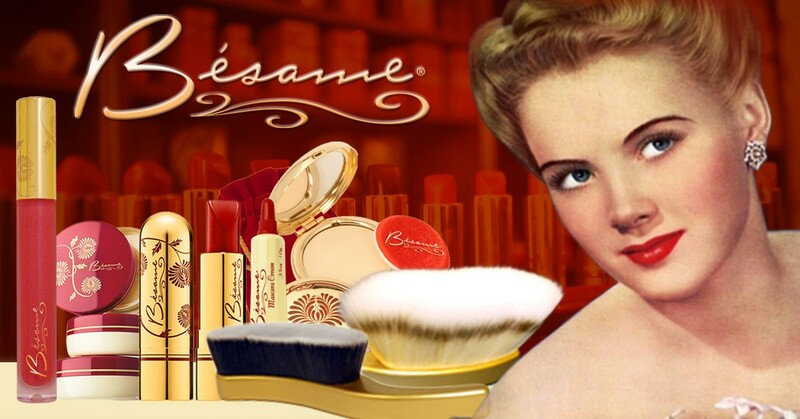 For my cheeks I applied their Delicate Rouge Blush in 1930s Raspberry. For my Lilac Pink eyeshadow, I applied Your Majesty on my lid from their I'm Wishing Palette & Raspberry Delicate Rouge on top for a custom Lilac color. For my cut crease I applied a darker purple shade any dark purple eyeshadow or liner will do. 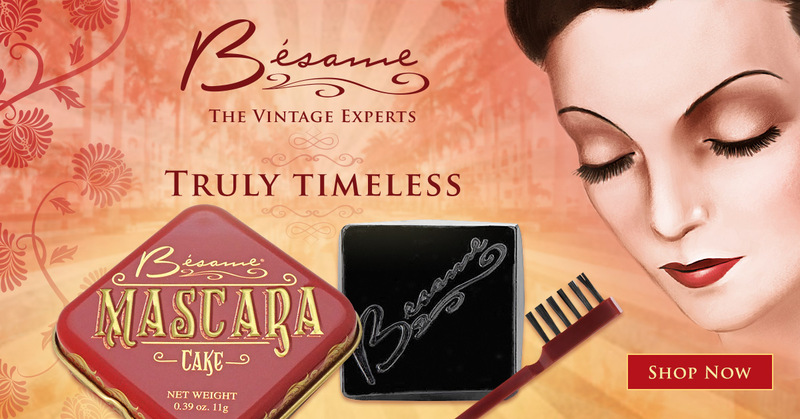 I am using their 1920s Black Cake Mascara applied wet for a sleek cat eye, I also applied this on my lower lash line. After applying my lashes I coated them with the 1940s Cream Mascara. Lastly I applied my new favorite rose pink hue lipstick in shade 1937 Love's First Kiss from their Limited Edition Snow White Collection. I did a 1960s French Twist Beehive using all of my hair, I have a lot of hair. My hair texture is very straight so I slept in large foam rollers the night before, which made rolling my hair into a French Twist a breeze. To achieve this hair style, you will need to tease your hair a lot, & I mean 80% of your hair if you have medium to long hair like I DO. I hope you liked my first Disney Bound & I look forward to sharing a lot more Disney Inspired looks! Be sure to tune in I have another Disney Dapper Bound coming soon before Dapper Day is here!